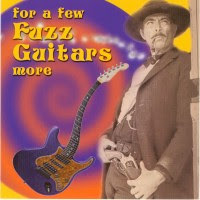 For a Few Fuzz Guitars More is the sequel to A Fistful of Fuzz and like the first volume, features plenty of fuzz guitar. The feel of this collection is garagier (if that's a word) than A Fistful of Fuzz, but both volumes draw primarily from the late 1960s. 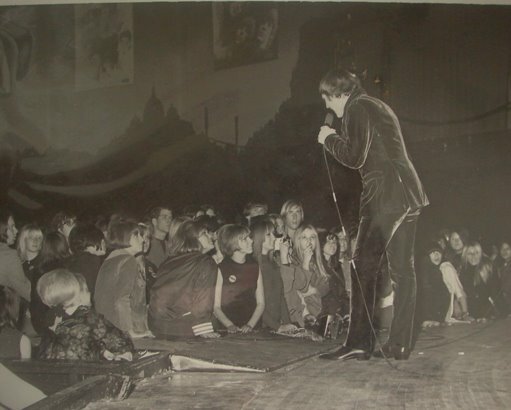 The sound quality of For a Few Fuzz Guitars More is not as good as the first volume, as surface noise is more apparent on these recordings, but the tracks themselves are rawer late-1960s garage-psychedelia and the tone of much of the material on this CD is darker than on the first volume in the series. The opening tracks, "Doomsday" by the Purple Sun and "Last Day on Earth" by the Velvet Haze, set an apocalyptic tone for For a Few Fuzz Guitars More. This collection also contains a number of anti-war records—"Lottery" by Rochelle Rosenthal & the Kickball Queen and "Where Are We Now" by the Dystraction. For a Few Guitars More has its share of hippie drug songs—"Walls of My Mind" by the Ritual and "Ma-mari-huana" by the Sub. One disappointing thing about For a Few Fuzz Guitars More is the lack of liner notes. Where A Fistful of Fuzz had notes about every track, the only information given about the recordings included here are pictures of the labels of the original 45s. Despite the lack of liner notes and the less-than-perfect audio quality, this is a good collection and most of the tracks that are unique to this compilation. Great twenty track garage/psych compilation from the US that follows on from A Fistfull of Fuzz. Featuring tracks by The Purple Sun, Goodly Rubenson, Peacepipe and The Outrage amongst others. Great fuzz-soaked 60s obscurities - check out the version of "Purple Haze" by future Doobie Brother Sherman Marshall. Cool Lee Van Cleef cover too! So where's the Link? Looks real good,or at least I hope so. I dig that fuzz sound,oh yeah I do. Bueno bueno no tapo el agua,veo que hay onda con el imnombrable,como has cambiado muchacho,seguramente jugaras algun doble con ellos el imnombrable ,planta,entroentuhoyo y vos.y bue...si no puedes con ellos unete a ellos. Great post. Love that fuzz. Anyone know how to get the first volume? and special for the "Breakaway project" ! no te enojes tonta, sabes que vos sos mi preferida entre todos! another great posting for this awesome site. hi there...you want to buy that cd? or download it? thanks for your reply. vol 11 on faintly blowing is the lp version. the cd version has different tracks. which is the one i'm looking for. because of one of the bands on it. but it's out there somewhere. i've seen it for sale at high prices that i can't afford. any help would be aprreciated. This collection is fantastic! Thanks for sharing! I posted the first one not too long ago. Thanks for this second volume, I had no idea it even existed. Thank you thank you thank you THANK YOU! I've looked everywhere for this album, and finally I've found it! Great, great stuff! Thanks so much! Can't wait to hear this one.Thanks for sharing! Thanks a lot i love the stoner fuzz of 70's it's a great one compilation CHEERS!